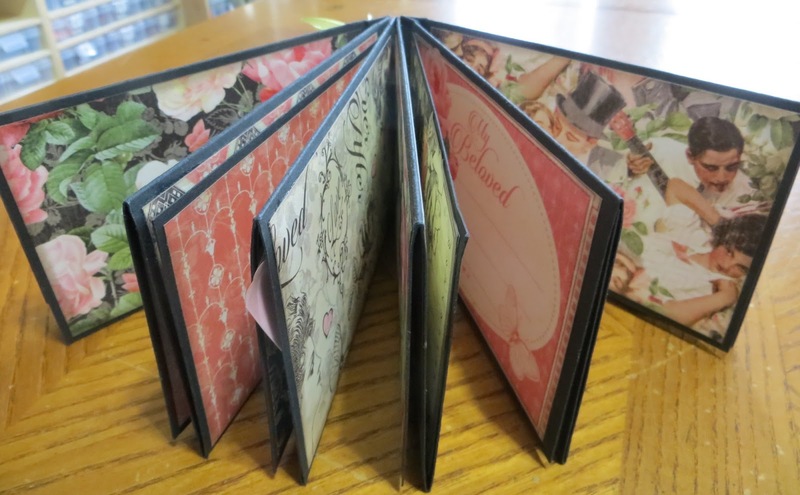 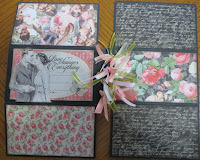 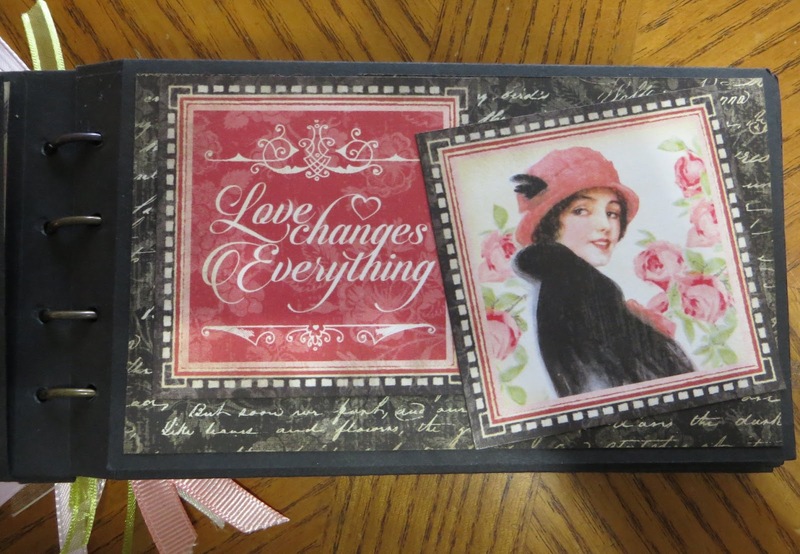 Join Jeannette Runyon in her fun "Flip-Fold Mini Album" workshop being offered on Monday, May 7, from 1:00pm - 5:00pm. 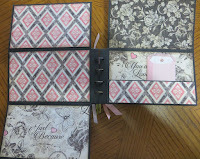 Class fee is $30 and participants will go home with an impressive 5-page mini album that can hold up to 29 photos. 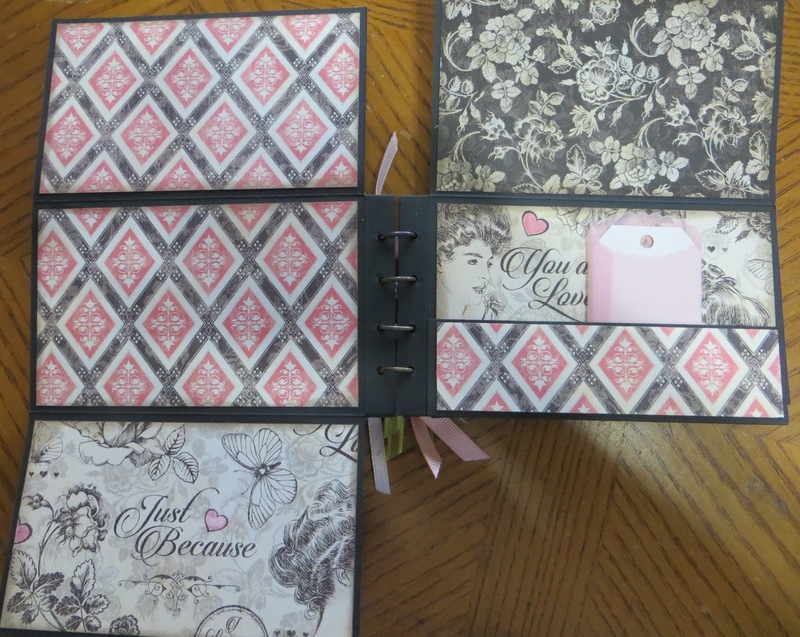 The five pages flip and fold to make an interesting compilation of photos, pockets and whatnots. 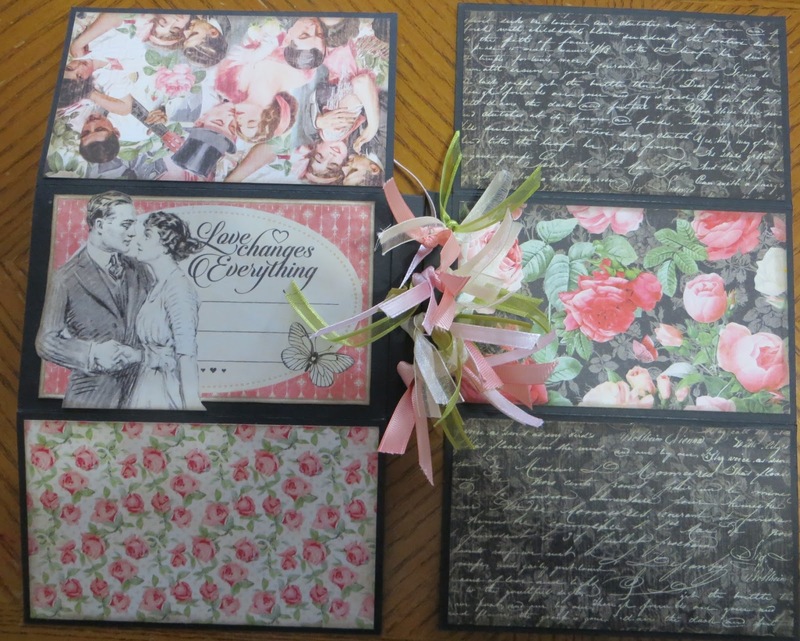 There are several "themes" to choose from (romance, flowers, beach) and the albums are made using Graphic 45 papers and embellishments. 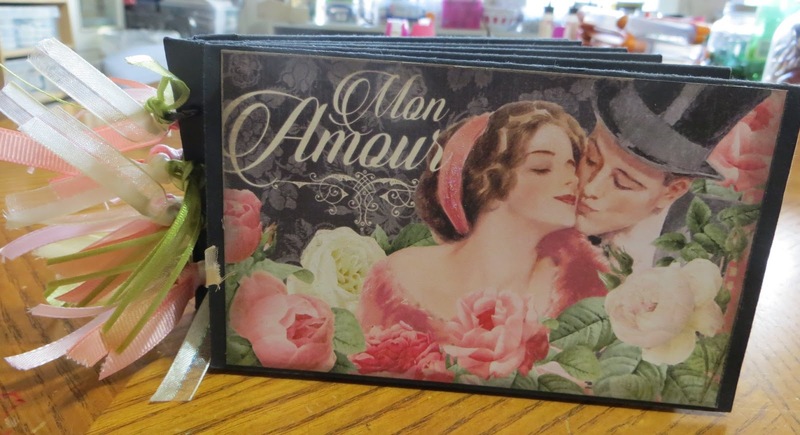 Each album is bound using mini binding rings, which are artfully decorated with small pieces of color-coordinated ribbons. 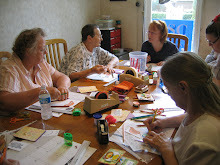 Class size is limited to SEVEN people, so register quickly if you want to claim a spot in this workshop!